In addition to these six organizations, the Foundation also continued its support of Flagging In The Park by contributing $12,000 to its 2016 beneficiaries: ORAM, The Sisters of Perpetual Indulgence, Shanti, Project Inform, and The National AIDS Memorial Grove. 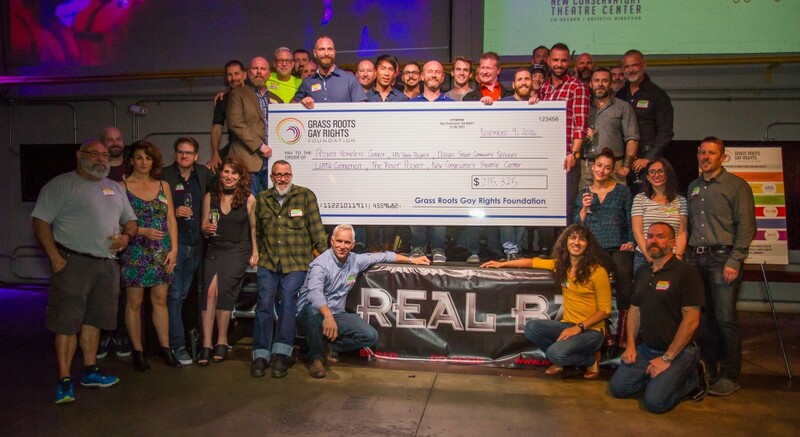 At the conclusion of this season, the Grass Roots Gay Rights Foundation has donated a total of over $2.5 million to worthy non-profit organizations. 2016 DJs and Posters revealed! 2017 DJs and Posters revealed!